Using the most common 6SN7 (option: 6SL7 / 6SU7 / ECC32/ / ECC33 / ECC35 / CV181...etc) as the amplification section gives you the most warm and easy rendition with such a low price. Once you experience this model of our products superior performance, you will see our higher models are beyond comparison. 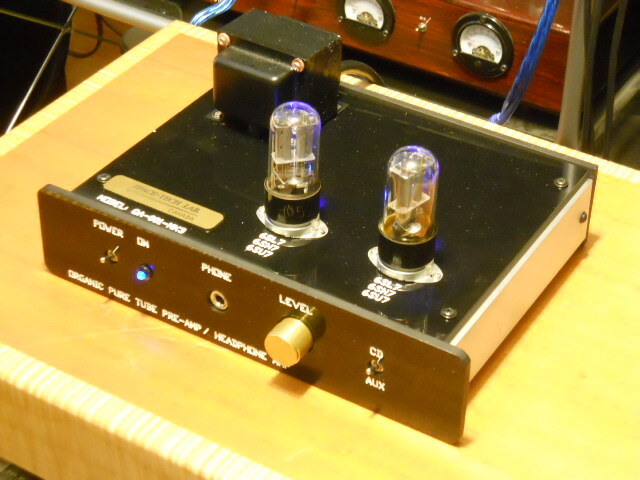 Compare the sound of 6SN7 with those small tubes like 6922 / 12AX7 / 12AU7, it will be night and day difference in openness, naturnalness and smoothness. You will never go back to those small tubes ever again. That is why those big names need to sky rocket up the price of their pre-amps made with bigger size tubes, otherwise their already expensive small size tube pre-amp can never sell. This is the most up-to-date enhanced version of our best selling models of Qa-001 pre-amplifiers. 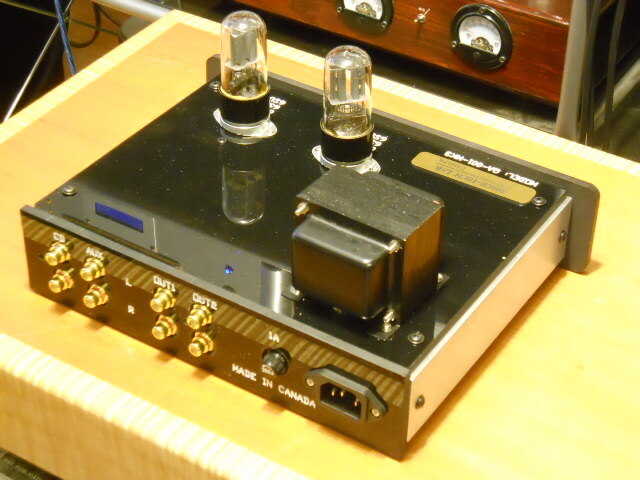 Equipped with a variable gain headphone amplifier , which can drive any headphone with whatever sensitivity. Super enhanced power supply with lots of reserve power in order to deliver the effortness handing in the air sonic character. This model is one of our "GIANT-KILLER", It can easily surpass the sonic performance of competitors in US$5,000-$6,000 offerings. There is once a customer even compare our older model head to head with big-names tube pre-amp in $10K range built with 8 x 6922 tubes, and result is just par. Recently another customer bring-in the same big-name pre-amp for comparison with our latest Mk3 , and ours out-perform his by 30-50% in every ways such as openness, smoothness, sweetness , detailness and dynamics. This pre-amp can use more than 10 different models of tubes to fine-tune the tonal quality as well as dynamics and richness.